So thank the heavens above for Bohemian Rhapsody. 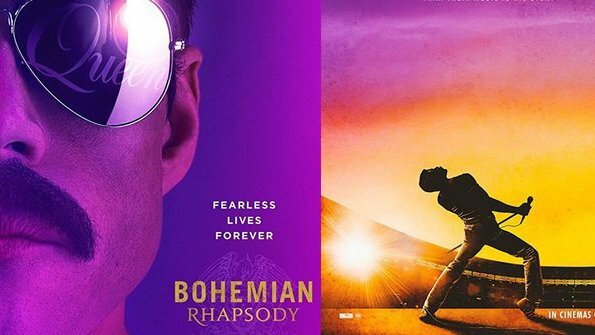 This new biopic release by 20th Century Fox relives the formation and rise of the seminal British rock band Queen, primarily focusing on its frontman, Freddie Mercury. And rightly so. Freddie Mercury was one of the most enigmatic singers in the modern era, combining a unique and powerful four-octave vocal range with a stage presence that demands the title of Legend. 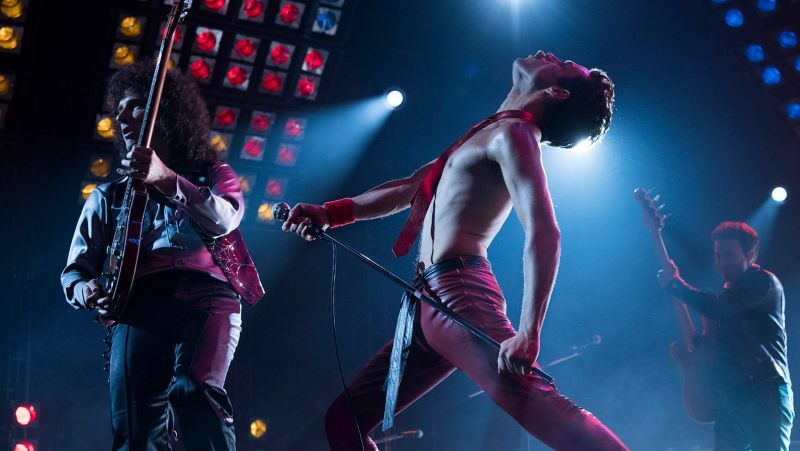 The film faithfully recreates the backstory of the band, of Freddie’s shame of his Zanzibar roots, of breaking through race issues and discrimination via unquestionable talent and a fearless determination. The director, Bryan Singer, shines a bright light on the undeniable brilliance of a band who were hell-bent on never being defined. Their music broke genres, crossed seemingly uncommercial and career-suicide territories, and came out unscathed as both the fans’ and record company’s favourites with a stream of hits including Bohemian Rhapsody, We Are The Champions and Somebody To Love. The film most importantly captures the band at its most critical, the sheer power of their sensational live performance, culminating in their celebrated set at Live Aid in 1985. I can’t remember another film in recent times that has spontaneously induced such as stream of spine-tingling moments. Band members Brian May and Roger Taylor were heavily involved in the production, and you get a strong sense of the need to honour Mercury throughout. Sadly, as a result, it does leave out half the story, an essential part of the man and his infamous decadence, private parties and sexual promiscuity. All without which Freddie would simply not have been Freddie. It maketh the man. It does make efforts to describe the struggle with his homosexual orientation in a less-than-tolerant 1970s, but skirts his ultra-flamboyant behaviour once he had laid his demons to rest and the flood gates were open on the gay party scene, and a controlling personal manager who isolated Freddie from his band and loved ones into a lonely, out-of-control character. This unchartered chapter by the film was significant, as it tragically lead to his death in 1991 of AIDS related pneumonia. Ultimately, this film is an unapologetic celebration of the most unique and talented of performers. 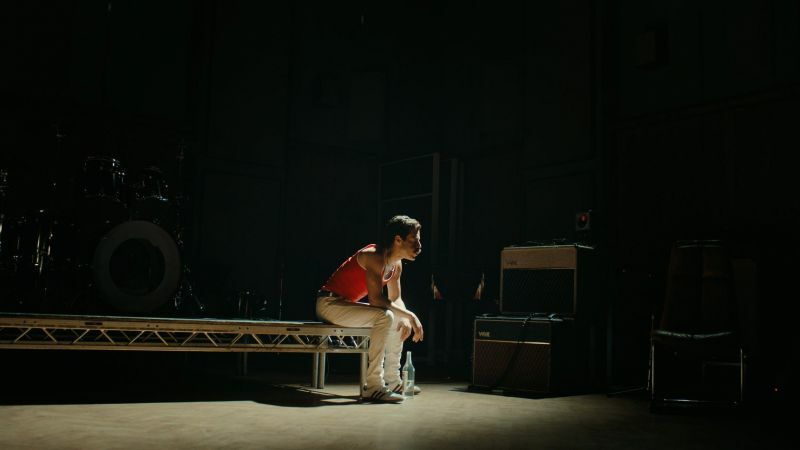 Freddie Mercury lies in the canon of legendary male musical visionaries of the likes of David Bowie and Prince. Freddie once sang, “Who wants to live forever?” Regardless of want, Freddie Mercury will.